For a long time now, game applications for smartphones and tablets have been extremely popular, however, they were never able to grow into a viable competitor for console and PC games until 2018. As cellphone hardware was advancing, each day the technological gap was becoming increasingly less between game applications, and console games — as well as user standards — were expanding. 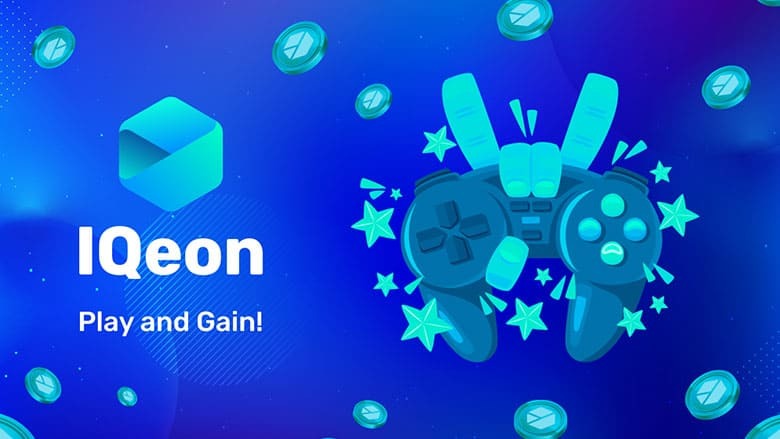 To the extent that existing contemporary sources of game monetization became simply insufficient, that is why new methods and technologies became needed — game platform IQeon among them. But, first things first. Nowadays, the browser PC games industry is not only a good way for anyone to pass the time, but a huge business sector generating around 138 billion dollars net revenue per year. As claimed by the expert estimates of GameAnalytics and Global Games Market Report, that number is more than likely to go up in 2019. So, according to the research done by eMarketer in 2015, merely half of the USA population used browsers and mobile phones for games, but in 2019, the figure has already reached 63% and continues growing steadily. Statista provided data that the similar situation is happening in Europe – an increase in new users is expected to be about 20.5% this year alone. Therefore, it is safe to assume that the future of the games industry depends largely on a development vector which browser games and mobile applications will follow. But why are mobile games getting more popular and pushing back products for PC and consoles? Let’s see. Firstly, it is about design. Technologies don’t stand still, mobile phones are becoming more powerful, today we can already see mobile applications not giving in their visual quality and performance rate to console products. In the struggle for a target audience, game developers strive to expand attributes of client gadgets. We could observe it in the cases of PlayerUnknown’s Battleground Mobile by Tencent Games or Fortnite Mobile developed by Epic Games which can now for sure compete by both visual and functional characteristics with many other PC games. Secondly, games have already stopped living solely within the virtual space of mobile phones and PCs – now they are ready to come into reality. The instance of that was an overwhelming success of spin-off franchise Pokemon GO; the project united over 500 million people who every day catch Pokemon and have already produced a massive profit of over two billion dollars for the developers of their favorite application. Such an AR-innovation, intended for a multiplayer mode and social communication of participants, shook investors up which immediately affected the market. As a result, it triggered the emergence of several major spin-off projects such as The Walking Dead, Jurassic Park, and Ghostbusters as well as some thousands of minor applications you’ve never heard of. Competition is promising to be fierce in this field. Even the above-mentioned innovations are overshadowed by the latest determining factor – employing blockchain technologies that promise to become not only the next evolution in the games industry but will be quite large earnings simultaneously for developers and gamers. Game-platform IQeon: How Much Do We Know About it? Now, cryptocurrencies are such a common thing — like your morning cup of tea — and bitcoins have been mined by anyone and everyone except maybe for your elderly grandma. Nevertheless, despite the fact that some fragile attempts were made to implement a cryptocurrency system in games, a viable platform has not been developed so far. The IQeon project aims to fix this. On 14 December 2018, closed beta-testing of the platform was rolled out for developers and it demonstrated that the product was ready to interact with players. After that, over 800 gamers took part in the next closed beta-testing and it did not take long to get feedback. As the project developers are reporting, the majority of the opinions on their brainchild are positive, so the next stage of open beta-testing will start soon. If all the preliminary stages are successful (so far there have not been any problems, fingers-crossed), it is planned to integrate not only browser and mobile games into the network of the new platform but the most iconic games. Well, an extra benefit for developers will be an obvious commission bargain – IQeon’s commission is much less than Apple’s and Google’s. Utilizing ready-made content templates, any platform user having the necessary skills can try himself in the role of a game developer and, moreover, make money on it! And what will gamers get? Good question. Overall, much was said about the new platform, but what exactly has IQeon prepared for the players from ordinary gamers wishing to make the most of their time exploring the Virtual Universe to professional cybersport athletes or typical achieve miners? Put simply, the ecosystem of the IQeon platform will create an ecosystem with common digital currency IQN for games integrated into it. And before you can grind, complete quests, solve logical puzzles and make bets – any achievements in games can now be monetized. The information security system typical for blockchain projects will not allow stealing gamer’s money, and personal data of IQeon users can be hardly disclosed without their knowledge and desire. Previously, only professional gamers, tournaments participants and people focused on upgrading accounts or employing other sophisticated (and far from being always productive) methods could earn money by playing games, but now simple and convenient monetization will be finally available for everyone. What do we have in the bottom line? The brilliant idea almost completed and got ready to conquer gaming market full-scale. Time will show the extent to which can this idea have an impact on the development of the gaming industry, but nowadays, it is fait accompli that IQeon platform is successfully moving in a new prospective direction.